I’ve Got a Crush on—Who? Everyone has crushes, right? I can mark my entire life, not by decade or major milestones—First Communion, high school graduation, college, marriage, childbirths, etc—but by the crushes of my life, both celebrity and school. Herewith, is my top-tier list of a lifetime of crushes. See if you can guess which are not the celebrities. 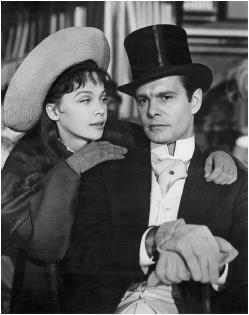 Leslie Caron and Louis Jourdan in "Gigi." Louis Jourdan: One of my favorite film experiences was seeing Gigi, which was released when I was three. I adored this movie, which had a young and stylish Leslie Caron frolicking all over Paris. But I fell in love with Louis Jordan, her love interest. I actually saw this film five times when it was still in the movie theater. Mr. Jourdan sent my little heart palpitating—to the moon! Tony Curtis: I think I was five when I realized Tony Curtis was a hunk, even before I knew what that meant. I remember wondering if he’d “wait” for me. To grow up, that is. If you saw him in 40 Pounds of Trouble or Boeing Boeing, you know what I’m talking about. Fred: I was in Mrs. Coletti’s first grade class when Fred walked into my life. Those deep, brown eyes! Those Groucho Marx eyebrows! Would you believe I faked having a party just so I could invite him to my house? I don’t know what I planned to do once he got there, and I’ll never know because it didn’t take long for him to figure out he was walking into a trap. Sir Paul McCartney: What an experience it was to see the Beatles perform on The Ed Sullivan Show. I was all into the music. She Loves You, I Saw Her Standing There. But it was Paul who stole my heart. I even had an “I Love Paul” button that I proudly wore on my shirt. It was like being pinned by the Beatle himself! Curtis: Just like Charlie Brown, I had a little redhead that got away when I was in third grade. Oh, I was head over heels for that boy. He put my science fair project to shame, when he brought in a log cabin he made, complete with electric lights that turned on and off. The allusive Curtis refused to talk to me, that’s how shy he was. And, I was equally shy and so I never said a word to him, but admired him from afar, pining for the day that I would become Mrs. Monica Curtis. Alas, it wasn’t meant to be. The late Davy Jones with Maureen McCormick as Marcia Brady (The Brady Bunch). Davy Jones: Hey, hey, we’re the Monkees! OMG, who didn’t love Davy? Me and Marcia Brady went all gaga when he entered the room. Gorgeous eyes, cute British accent; he may be the reason—the source of my love for all things British. In fact, most of my crushes from this point on were Brits. Cliff: In junior high, Cliff was as shy as they come. Why did I like all the shy guys? My friends and I would call him up, then hang up as soon as he answered. All I needed was to hear his voice. No one said, “Hello?” better than that boy. Cliff’s school locker was two down from mine, and in between us, was the locker of a mutual friend, John, who was a great go-between. Between classes, I would ask John, “Does Cliff like me?” And he’d find out and respond during the next period, “Yes.” I was on Cloud Nine. Pierce Brosnan: Ah, the eighties. The decade of the television mini-series. I first encountered Pierce in The Manions of America, a drama about Irish immigrants during the Great Famine. Pierce was Drop Dead Gorgeous. That’s all I have to say. He sealed the deal for me in Remington Steele. Full disclosure: it was the first and only time I ever wrote a fan letter and the letter paid off. Three months later, I received a response and a 5X7 signed glossy. My life would never be the same. Side bar: A lot of people didn’t like his role in Mamma Mia, let alone his singing, but to me Pierce was divine and yes, he sounded exactly like Bruce Springsteen. So, sing on, Pierce! 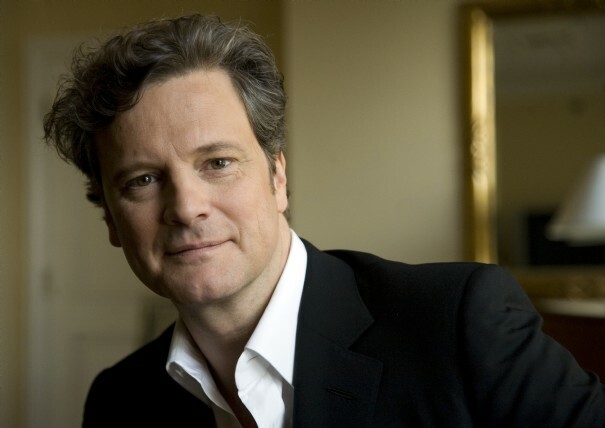 Colin Firth: Two words. Mr. Darcy. Three words. Pride and Prejudice. Colin is THE man, THE one. My blogger pal, Mediating Mummy or, as I call her, MM, and I have major crushes on Colin. Her blog keeps me up to date on all things Firth. I will see any movie he’s in, even if it’s a bit part. I don’t care. He’s Colin Firth and that’s good enough for me. Recommended double feature: All five hours of Pride and Prejudice, starring Colin Firth (accept no imitations! ), followed by Bridget Jones’ Diary. You will not regret it. Jason Isaacs: This little hottie I actually deplored when I first saw him in the Harry Potter films. He plays a meanie, after all. Lucius Malfoy. But then I saw him in the BBC production, The State Within, where he plays a British Ambassador based in Washington, D.C., in a terrifying, action-packed conspiracy thriller that will have you on the edge of your seat, I kid you not. Bloody good fun! Bonus: He’s starring in a new NBC series, Awake, that has gotten lots of buzz. So, tell me. Who have you had a crush on?